Working depth up to 450mm. 3 Tine chisel cultivator 16hp, 5 Tine chisel cultivator 30hp. 1 unit per row, 3 row 30hp, 4 row 40hp. Optional extras: ridging body; soil guards; depth wheels. Optional extras: sliding headstock; depth wheels; crumbler & packer rollers. 1.22m 16hp Seedbed harrow c/w crumbler. 1.52m 24hp Seedbed harrow c/w crumbler. 1.83m 30hp Seedbed harrow c/w crumbler. Optional extra: Depth wheels. 1.22m 16hp Spring tine harrow c/w crumbler. 1.52m 24hp Spring tine harrow c/w crumbler. 1.83m 30hp Spring tine harrow c/w crumbler. Optional extra: Depth wheels. Optional extras: wing kits; discs c/w fittings; depth wheels. All models are fitted with disc coulter and adjustable depth wheel as standard. Furrow widths 250mm, working depth up to 250mm. This very effective stoneburier is a new addition to our machinery range. Transportable optional extras: Spare wheel; Hydraulic folding wings; hydraulic wheel control. 1.07m Disc harrow 16hp, 1.32m Disc harrow 20hp, 1.68m Disc harrow 30hp, 1.98m Disc harrow 40hp. 1.22m 16hp Levelling harrow c/w crumbler, 1.52m 24hp Levelling harrow c/w crumbler, 1.83m 30hp Levelling harrow c/w crumbler, 2.44m 40hp Levelling harrow c/w crumbler, 2.74m 50hp Levelling harrow c/w crumbler, 3.05m 60hp Levelling harrow c/w crumbler, 3.66m 70hp Levelling harrow c/w crumbler, Folding models available. Optional extras: stone guard; clod board. 1.50m 16hp . 2.00m 20hp . 2.50m 30hp. 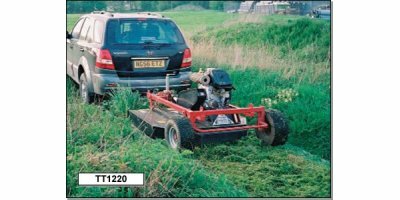 Ideal for cutting hay & rough grass areas. L1000 1.00m 16hp, L1150 1.15m 24hp, L1350 1.35m 35hp. Folds up for road transport. Suitable for cutting semi lawn areas; 3 blade rotors, belt driven, depth control by 4 pneumatic wheels adjusted by spacers or optional rear roller. Height of cut 25-100mm. Optional extras: manual or hydraulic sliding headstock; hammer blades in lieu of standard blades. Single blade rotor with swinging blade tips; floating top link; PTO shear bolt protected; height of cut adjusted by side skid 25-100mm. Heavy duty engine driven topper. Designed for towing behind ATV or 4x4. Strong enough for topping and scrub cutting. Parallel carrying frame with 4 wheels eliminates any weight on tow vehicle and allows topper to follow the contours of the land. 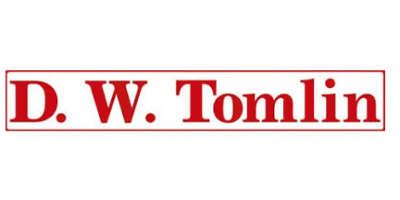 Built to a very high standard of engineering and easily adapted to a variety of uses. Aluminium chequer plate floor and ramp. Full ramp with integral side hung stock gate to aid loading/unloading of single sheep. Full width ramp hinge eliminates ‘foot trapping’ gap. Detachable railed sides for conversion into a low side trailer (railed sides clip to trailer when not in use). 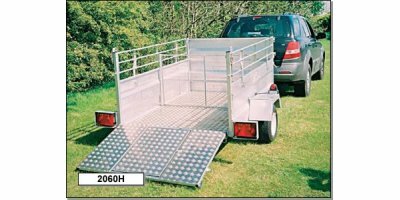 Off-road, general purpose trailer, ideal for moving stock, carrying fencing materials and other equipment. Timber floor, tanalised for longer life. Solid 880mm chequer plate ramp. 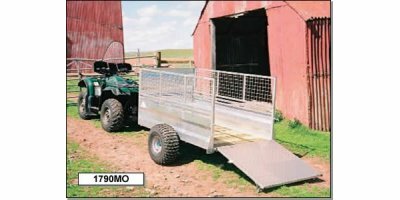 Detachable upper mesh sides enable conversion into low-sided trailer. Overall side height 880mm/ solid side 450mm. Swivel hitch for extra safety. Full width beam axle. Flotation tyres 22 x 11 x 8. Unladen weight 210kgs. Overall width inc wheels 1640mm.